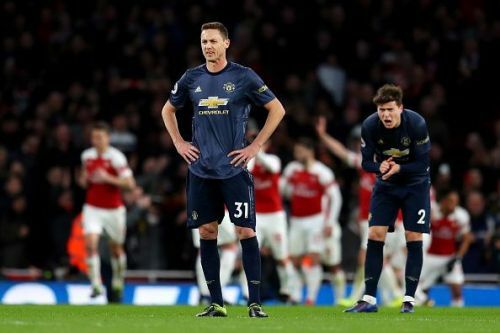 Arsenal beat Manchester United 2-0 at the Emirates in the Premier League to end Ole Gunnar Solskjaer's unbeaten run with the Red Devils in the English top flight. Granit Xhaka and Pierre Emerick-Aubameyang scored for the Gunners in a win which takes them to 4th, while United drop to 5th. Arsenal started the game brilliantly. They created a few openings but Manchester United hit the crossbar through Romelu Lukaku after he was found by Luke Shaw from the left. Granit Xhaka gave Arsenal the lead after his long-range effort confused David de Gea. The Gunnars' second goal came through a penalty which was won by Alexandre Lacazette. Aubameyang put the penalty in to secure the points for the London outfit and give them a huge win, in context to the top 4 battle. The loss can be termed as a bad day at the office for Manchester United as they clearly looked the better side on the day, but just couldn't take their chances. Nemanja Matic came into the side after a long injury layoff and looked a bit lethargic from the start. He wasn't really helping Fred in the middle of the park and it looked like the Brazilian was doing all the hard work. The Serbian didn't win the duels as he used to and also wasn't able to hold onto the proceedings in the middle of the field. He grew into the game as the second half progressed, but it was too late for the Red Devils. Matic played a few good passes when he got on the ball, but he was dominated by Granit Xhaka for a long time in the game. 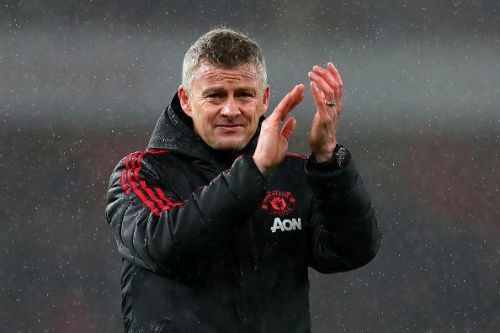 Solskjaer would have probably expected more from the veteran midfielder.